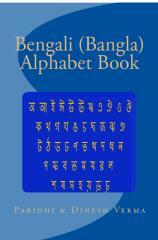 Alphabet Books are available for the following languages. Each alphabet book provides a colorful introduction to the letters of the alphabet of that language with a picture in a colorful manner. 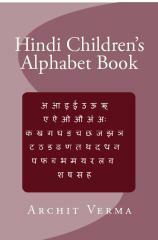 The book provides a basic introduction to the Hindi Alphabet and basic counting. It was written by an 8th grader to ease learning Hindi for himself and other kids like him. An updated version of the alphabet book. 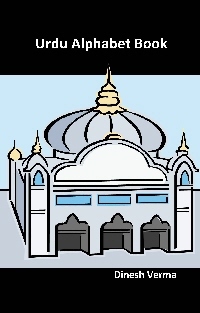 It has sections on topics like vowels, consonants, matras, conjugations, Hindi numbers, and a pronunciation guide. 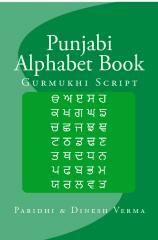 The book provides a basic introduction to the Punjabi Alphabet and Gurumukhi script. Each letter of the script is introduced with a picture beginning with it, the sound of the letter, and its pronunication. The book provides a basic introduction to the Tamil alphabet and script. Each letter of the script is introduced with a picture beginning with it, the sound of the letter, and its pronunication. The book provides a basic introduction to the Urdu Alphabet and script. Each letter of the script is introduced with a picture beginning with it, the sound of the letter, and its pronunication. 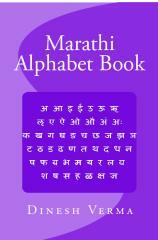 The book provides a basic introduction to the Marathi Alphabet and script. Each letter of the script is introduced with a picture beginning with it, the sound of the letter, and its pronunication. 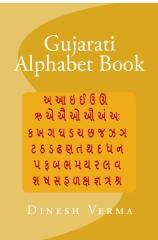 The book provides a basic introduction to the Gujrati Alphabet and script. Each letter of the script is introduced with a picture beginning with it, the sound of the letter, and its pronunication.